Cab aggregation startup TaxiVaxi has raised $500,000 (around Rs 3.4 crore) in its second round of angel funding from a clutch of high net-worth individuals (HNIs). The startup, run by BAI Infosolutions Pvt. Ltd, had raised the first round of funding in August last year from HNIs. The new funds will be utilised for expansion of services, increasing workforce and technology development, a statement from TaxiVaxi said. 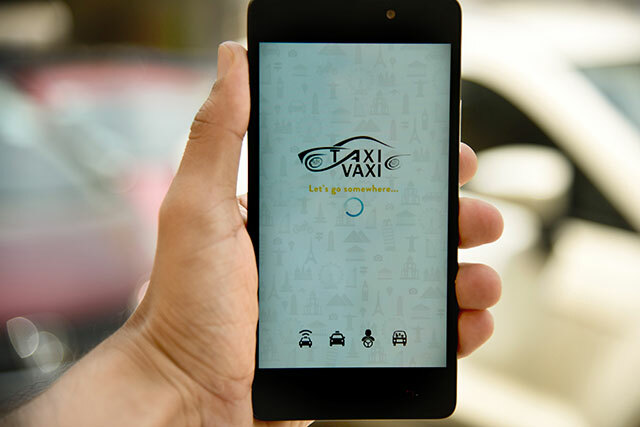 TaxiVaxi aggregates radio cabs, outstation cabs, self-drive cars/ bikes and car pooling on one single application. It was founded last year by Neeraj Tayal, Ankit Gupta and Vinod Kumar. Tayal is a CFA who has earlier worked with Tata Ltd, while Gupta has previously worked with Idea Cellular, HCL Infosystems, and Tata Teleservices. Kumar has earlier founded a software company called Novus Logic. "We are expanding our presence in the corporate travel segment with cashless/ paperless travel for employees for multiple travel options," said Tayal. The company is present in 300 cities across at present, and a user base of 15,000. "We have grown exponentially since our launch and are one of the few start-ups in India to show a profitable status in this short span of time," added Tayal. The cab aggregation space in India is dominated by Uber and Ola. In December last year, Uber Technologies Inc. raised $2.1 billion in a new round of funding that takes its valuation to $64.6 billion. In November 2015, Ola Cabs completed its Series F funding round by raising $500 million from Scottish investment firm Baillie Gifford and China's Didi Kuaidi, besides some existing investors. Most recently, Cab pooling app Derbii, run by Winwincab Rides Pvt. Ltd, has raised an undisclosed amount of seed funding from Accenture managing director Anurag Chauhan. Prior to that, Delhi-based cab search, comparison and booking platform Cabsguru, owned by Nohup Technologies Pvt Ltd, raised $200,000 (Rs1.3 crore) seed funding from a group of investors led by Prashanth Ranganathan, founder and CEO of Paysense Services India Pvt. Ltd and former head of product - APAC for PayPal.